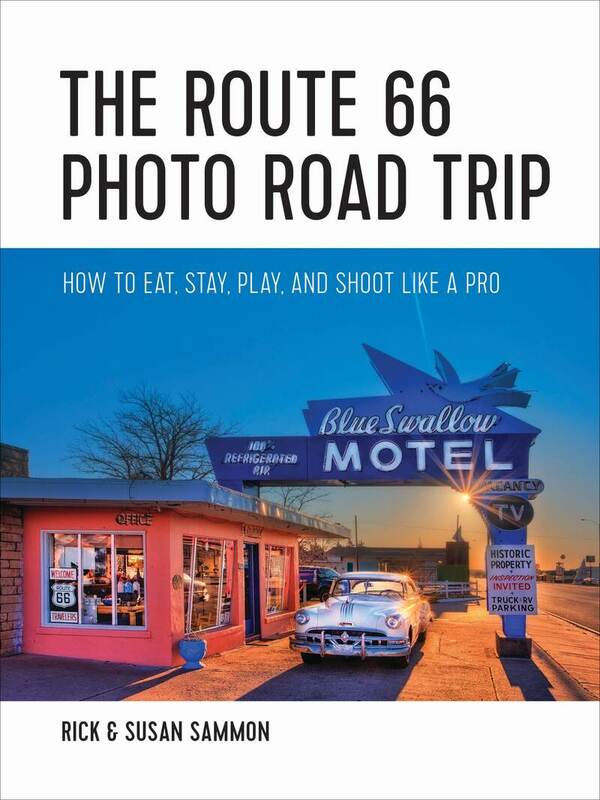 From legendary photographer Rick Sammon and his wife, Susan, The Route 66 Photo Road Trip is the perfect companion to enjoying and photographing everything that the country’s most famous highway has to offer, whether you’re hauling professional gear or just your phone! One of the earliest cross-country routes for the first American motor tourists, Route 66 still teems with nostalgic attractions and natural wonder. The Sammons guide you from Amarillo to Las Vegas, focusing on the thriving and historical southwest segment of the highway featuring classic venues like the 66 Diner and the Hotel Andaluz. This guide includes recommendations for dining and lodging, lists of attractions, hour- by- hour road itineraries, and essential tips for capturing memorable photographs by day or night, stopped or in a moving car, with a DSLR or an iPhone. Susan Sammon is a photographer and spent months shooting and exploring the Mother Road.